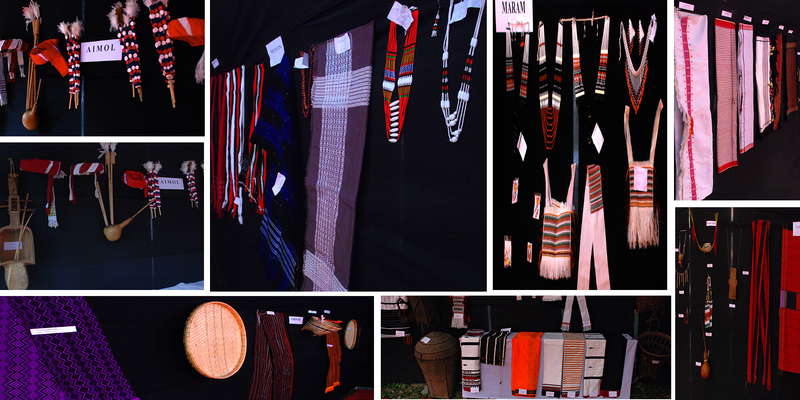 Manipur enjoys a distinct place amongst the Handloom zones in India. Handloom industry is the largest cottage industry in the State. This industry has been flourishing since time immemorial. One of the special features of the industry is that women are the only weavers. According to the National handloom Census Reports 1988 there are about 2.71 lakh looms in Manipur. It is believed that Chitnu Tamitnu, a goddess, discovered the cotton and she also produced the yarn. When the threads are ready for weaving she arranged the required equipments and constructed the ‘Sinnaishang’ (work shed). It is also believed that the goddess Panthoibee once saw a spider producing fine threads and making cowebs and from it she found the idea of weaving and thus started weaving. Most of the weavers who are famous for their skill and intricate designing are from Wangkhei, Bamon Kampu, Kongba, Khongman, Utlou etc. in respect of fine silk items. The rest of the villages of the State producing all varieties of fabrics. Tribal shawls are all varieties of fabrics. Tribal shawls with exotic designs and motifs are the products of five hill districts of the State. Fabrics and Shawls of Manipur are in great demand in the national and international market. Manipur State Handloom Weavers Co-operative Society (MSHWCS).